To install the Office suite you will first create a Microsoft account using your Williams college email. The setup requires quite a few steps, so keep this documentation open as you go through the process. Check your Williams email for the code. 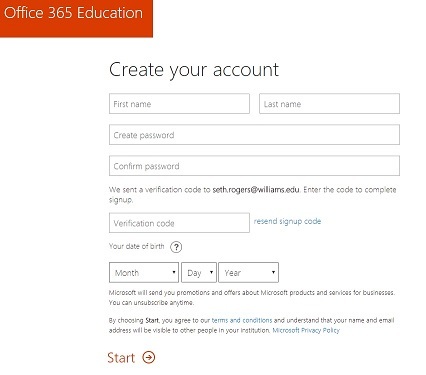 Then create your new Microsoft account as below. Choose a password that is different from your Williams password and make a note of it (write it down or add it to a password manager like LastPass). 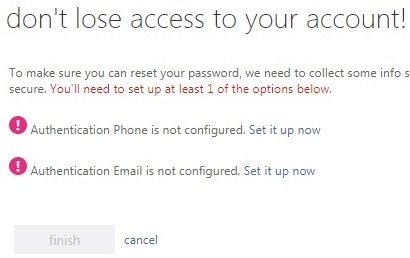 You will then be asked to create recovery options in case you forget your password. Click Next. 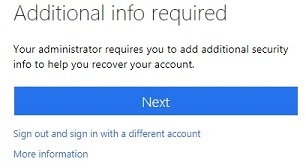 After refreshing you should get the account recovery options below. Enter a personal email address (not your Williams email) and click Email Me. Check your personal email account for another confirmation code. Enter this code at the next screen. When you get to the Office 365 web site you can then choose to Install (download) Office from the link in the upper right corner. On PC or Mac run the installer from your Downloads folder. Office will remain activated for as long as you are a student or employed at Williams. Are you looking for a little more assistance with Microsoft Office ? Check out Linkedin available free. Linkedin offers tons of online tutorials on a wide array of software and other subjects. Go to: https://oit.williams.edu/help/linkedin-learning/ for more information and login details.